Bicycle culture is growing and developing all over rapidly. 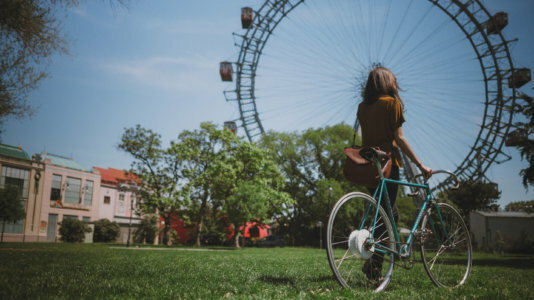 While bicycle sales are growing, for example in Italy last year more bicycles were sold than cars, the movement to the cities have supported this growth. And it makes sense. Bicycling is not only good for you and the environment, it is also fun. This is why since 2011, Niko Klansek have been trying to deliver to the USA market a range of electric bicycles. After the first experience with the electric bicycles he realized the many possibilities of how to innovate on the e-bike field. The time was ideal to finally actualize the idea he had for years on how to upgrade the ordinary bicycle with a motor and turn it into a pedal assist. Niko sketched the rough concept and started working with a team of engineers, designers, software developers and bicycle culture researchers and created the first working prototype in early 2013. The result is the FlyKly smart wheel. 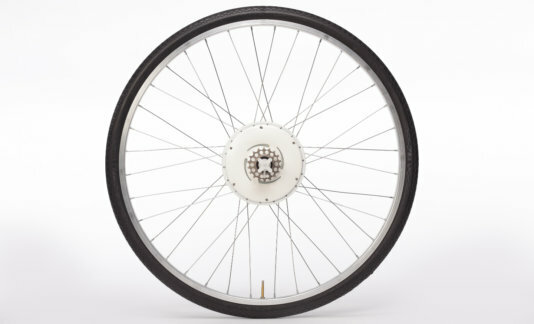 Smart Wheel, is a pedal assist that encases an ultra-thin electric motor and intelligent electronics within a robust housing, neatly fitted onto the spokes of a bicycle rim. It fits practically any bicycle frame and helps you use your bike more efficiently and comfortably, when and where you need it. “Smart Wheel is a pedal assist which means it helps you ride your bike effortlessly”, writes Klansek in the Kickstarter campaign. “The motor turns on when you start pedaling and begins accelerating to your desired speed. It stops when you stop. It saves you time by getting you to your destination faster and gets you there without losing your breath or breaking a sweat. There’s no need to worry about what to wear to that business meeting or 8 o’clock date”. This solution allows riders to go up to 25 km/h for a 50 km range and it weighs only 4 kg. You can control the Smart Wheel with the FlyKly App which offers additional features for safety, support and social connectivity. Among these features you can find the ability to remotely lock the motor and track it in case it gets stolen, a Smart Light that holds your phone safely in place while riding and also functions as a convenient phone charger. And a smart phone app that lets you do all this and more. You can see it all below.